With the times becoming more stressful and lives becoming more complex, no one especially males have the time to protect their skin. Washing the face is very essential. But since men are men, this important basic is being neglected and avoided due to which there are frequent skin breakouts and other problems associated with the skin. Men have a different skin texture as compared to women therefore their products would be different as well. Their skin is rough, thick and greasy and due to which the dirt gets accumulated on the face which if not washed may result in irritation and pimple breakouts. 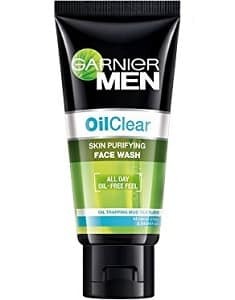 At number 10, we have Garnier face wash which is a great cleanser as well. It consists of great oil clearing and oil controlling feature and if you want to get rid of your extremely oily skin then this is the perfect face wash to treat your extremely close doily pores. 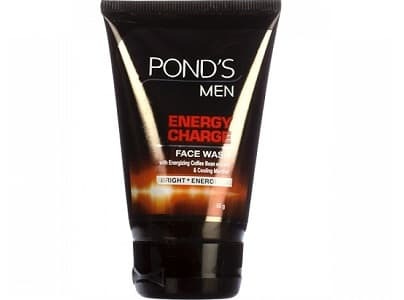 Another face wash preferred by Men includes Pond’s Men Energy Charge Face wash. There are two variants in this red and green. This product contains extracts of coffee bean which are known to brighten the complexion instantly making the skin appear healthy and radiant. More so it be be used by men who have dry skins. A 50 gram tube of this face wash costs only INR 85. 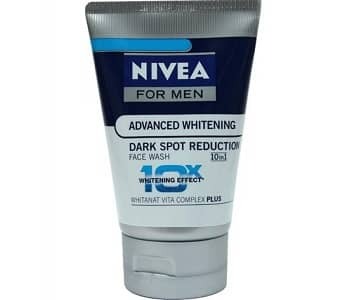 There are a couple of face washes from Nivea but Nivea For Men Advanced Whitening Dark Spot Reduction Face Wash is by far the best product as it has more Vitamin C than any other variant. Vitamin C is known for its capabilities of repairing layer by layer skin cells and makes people look brighter and whiter. This whitening face wash can be even helpful for dull skin. You can obtain this product from the market in just INR 95. 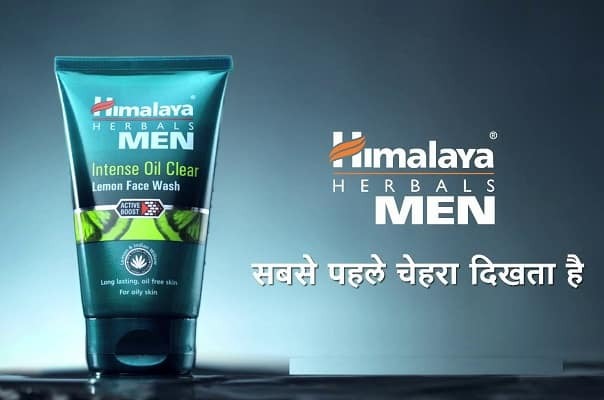 Another fantastic face wash that is preferred by oily skinned men is Himalaya Men Intense Oil Clear Lemon Face Wash. The liquorice extracts present in this face wash helps in making the skin glow and appear lighter. This face wash makes your skin grease free and give you relief from oily skin. 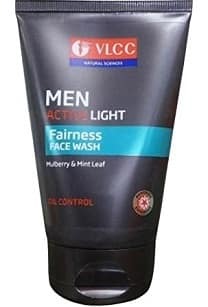 This men’s face wash from VLCC comprises of the mulberry and mint extracts. Mint helps in making the skin appear lighter by removing the blemished and also helps in tightening the pores on the face. On the other hand Mulberry hydrates the skin along with cleansing it. This face wash is priced at 155 INR for a 100 gram packing. 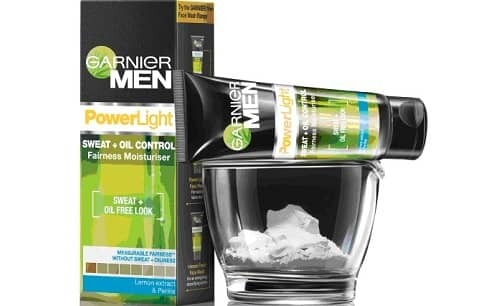 If you are looking for a face wash which not only deep cleanses your skin but also makes you fairer then Garnier Men Power Light Intensive Fairness Face Wash is just for you. This face wash is available in market for 155 INR for a pack of 100 Grams. The best part of this face wash is that it has micro-polishing beads which exfoliate the facial skin mildly making it appear bright. Nivea’s face wash which has oil removing capabilities is absolutely appropriate for the men’s skin. This face wash instantly helps in eliminating the dirt and other bacteria which provide a brooding ground for pimples. It surely is one of the super-efficient products of Nivea as it also makes your skin supple. This product is priced at 190 INR for a 50 Gram packing. On number 3 we have Neutrogena acne clearing face wash which is next to brilliant but a little on the expensive side if compared with other products. This face wash is anti-acne and it deep cleanses the skin and is also helpful in removing the ugly looking scars and marks on the skin. 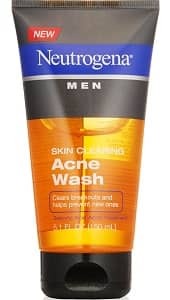 For people who have extremely oily skin and are prone to pimples, this face wash is highly recommended. The 150 ml packing is available at 899 INR. 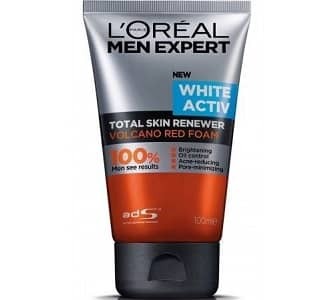 At number 2 we have L’Oreal Paris Men Expert White Activ Volcano Red Foam Face Wash which is a foaming face wash and it deep cleans the skin of the face. It actively takes off all the impurities and dust from the facial skin. This face wash is also at a little pricey side as its 100ml packing is available for 499 INR. But whatever said and done, facial skin is indeed important so if you can spend this much, be sure of great results. The components of active volcano in the face wash is quite efficient for removing the impurities from the core level. With the goodness of Menthol, extract of Lemon Fruit and the glycerin to make the skin supple and soft then this is the best cleaner for you. This is one of the preferred facial cleanser which is widely used by men all over the world. It is known to deep clean your skin, tighten the pores, making the skin brighter and removing the looking blackheads. The menthol extracts cool the redness and itch of acne and zits along with providing a freshness that lasts long. The lemon extracts make the skin lighter and the glycerin makes it supple and soft. It can be bought from the market at 170 INR for a pack of 100 Grams. 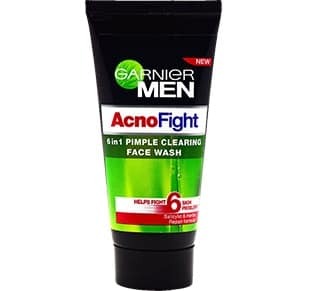 With so many face wash products for men doing the rounds in the market people are getting more and more options to choose from. But there are a few tips of using these face washes so that you derive the utmost effect out of it. Make sure that you don’t take too much to wash off and do not rub too rigidly on the skin. The amount should be just a small drop or the size of a pea and gently massage for on the face for 15- 20 seconds and then it wash off. Rubbing for a very long time or taking too much quantity will only make the skin get dry and oily. While you reach home after spending your day outside, use a face wash so that the harmful grease and dirt could be removed as it will cause acne on the face and if you have stubble or a beard then this dirt can cause further problems in it gets stuck in the facial hair.